Multi window – You can run two apps simultaneously without changing the screen. Edge screen – With various Edge panels, you can access frequently used features quickly and easily. Hello Bixby – View frequently updated content, such as the weather, reminders, and alarms, in one place. Bixby Vision (image search) – Bixby Vision is an image search feature that lets you search for relevant information conveniently. Reminder – Schedule notifications and to-do items or use location reminders. Bixby (intelligent voice assistant) – Bixby is an intelligent voice assistant that helps you use the device more conveniently. Iris recognition – The iris recognition feature uses the unique characteristics of your irises, such as their shape and patten, to strengthen the security of your device. Fingerprint recognition – A built-in capacitive sensor reads your fingerprint when you touch it from any direction. Secure Folder – Protect your private content and apps in Secure Folder. Photos, memos, and apps in Secure Folder cannot by accessed by others. 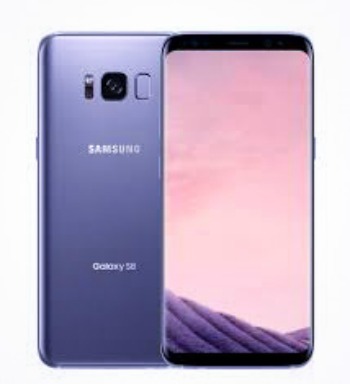 Samsung’s new phone line reveals features that resemble that of iPhones and people are excited to finally have the Android version for some of these upgrades and others that have never been seen before. Many can’t also wait to get their hands on its sleek and sophisticated look. The absence of physical buttons on the front gives it a quite futuristic look and they have probably coined the term “Infinity Display” to describe it. Even the Samsung logo is no longer visible on the front for that completely seamless look. There may be flaws such as the set screen resolution, maximum brightness, and fingerprint reader location but they pale in comparison to what the phone offers. The browser is also bringing in another important part of Samsung’s mobile vision. It now supports web payments, allowing users to pay for goods and services directly in the mobile app. The intention is to enable web payment to use Samsung Pay if it is available on a device, otherwise card details can be stored on the handset with biometric sensors used for security. The Samsung S8 and S8+ are probably one of the coolest smartphones you can get your hands on these days. It boasts of a curvy and futuristic-looking screen display, is waterproof and offers wireless charging too. The user will likewise not get disappointed with its browser, which will serve as the benchmark for the next Android smartphones. With two of almost of everything, there is so much in store with this new eye-candy from Samsung. While data recovery is a far too common complaint among computer and laptop users, smartphone users also face it too now and then. It just works differently because of the different features between computer hard drives and that of smartphones. When you face such a problem, don’t try to fix it yourself and visit an expert phone technician to retrieve it for you whether you are using an iOS or Android phone, an old model or one of the newer ones. ← Quality Education: Is Cloud Computing The Answer?